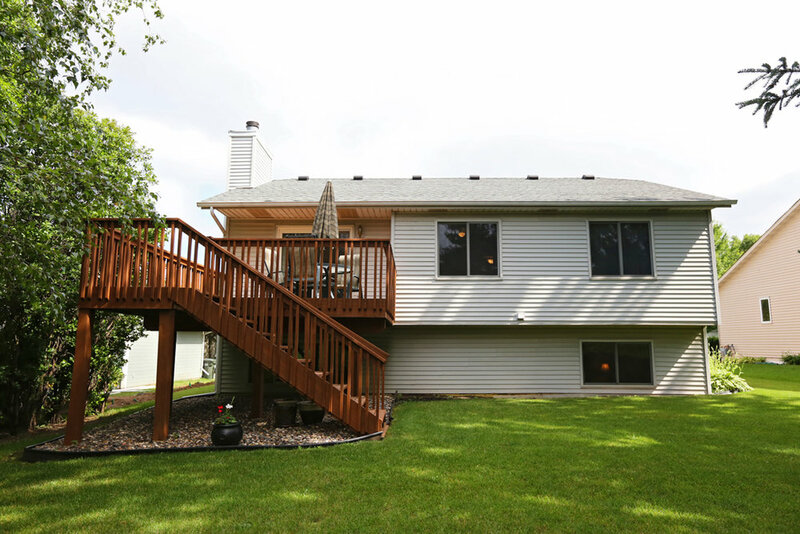 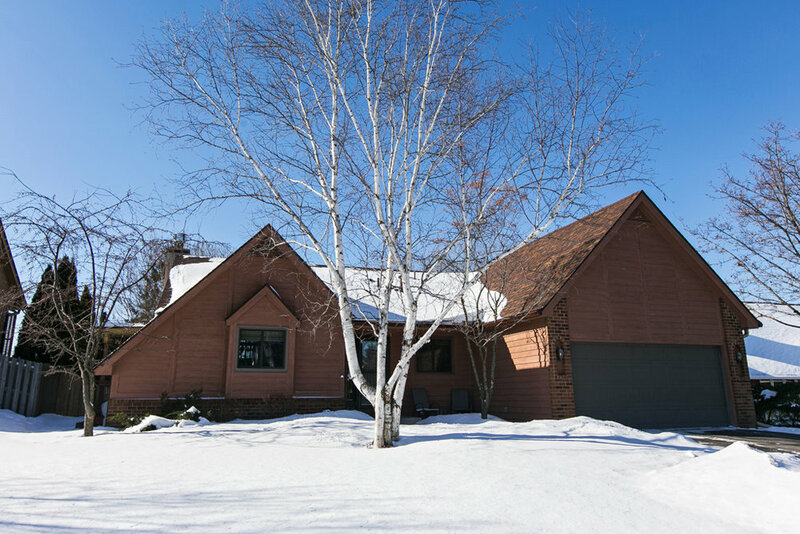 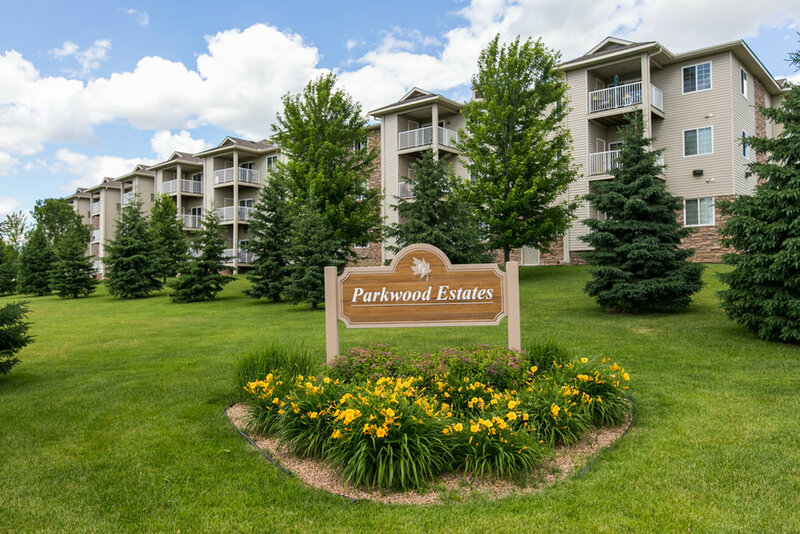 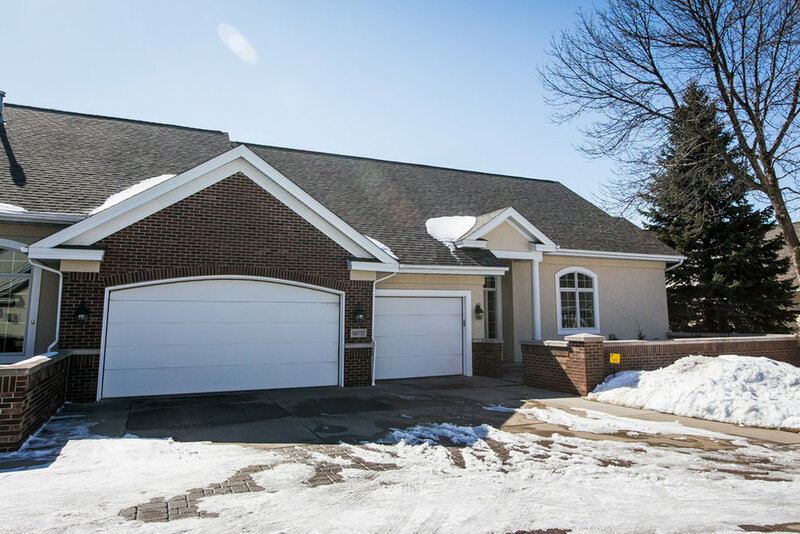 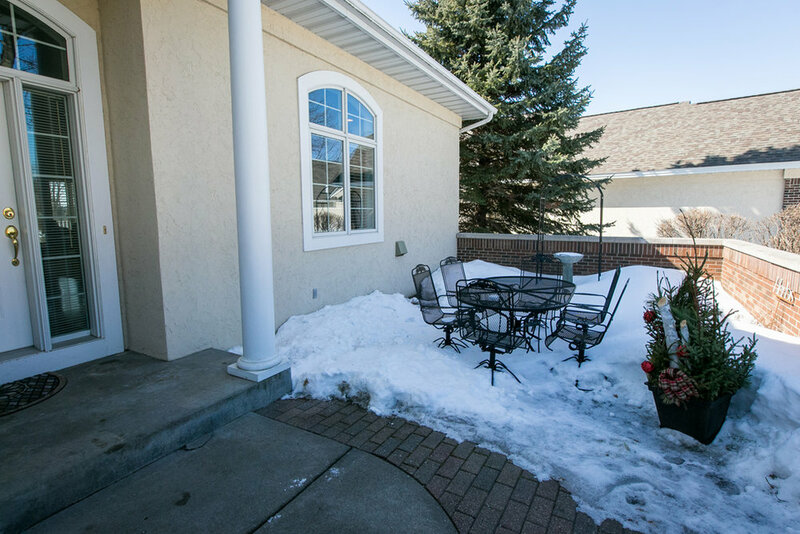 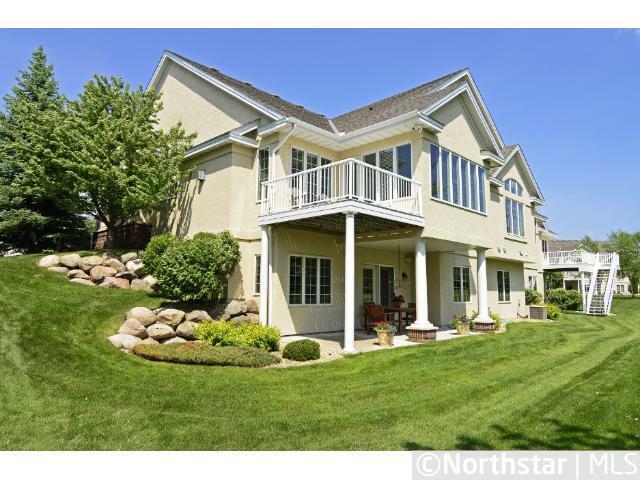 Welcome Home to 635 Orchid Lane N, Plymouth MN. 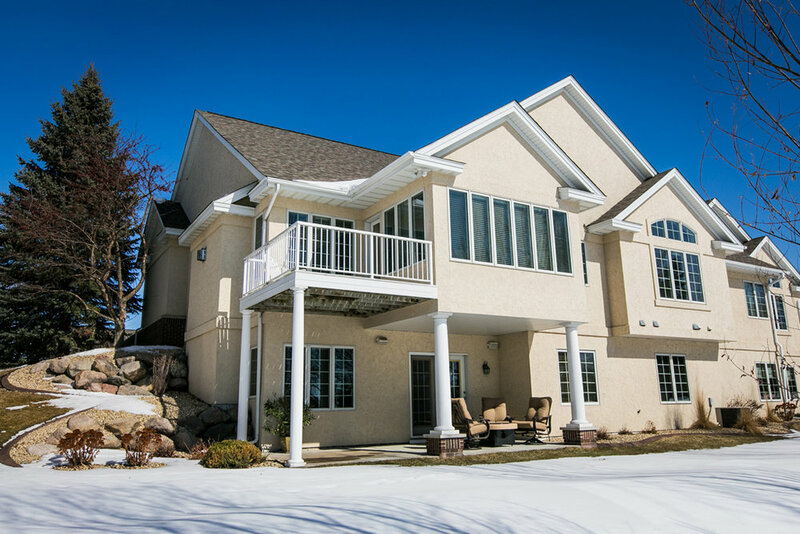 High Quality Construction with attention to detail & craftsmanship is what this home is all about. 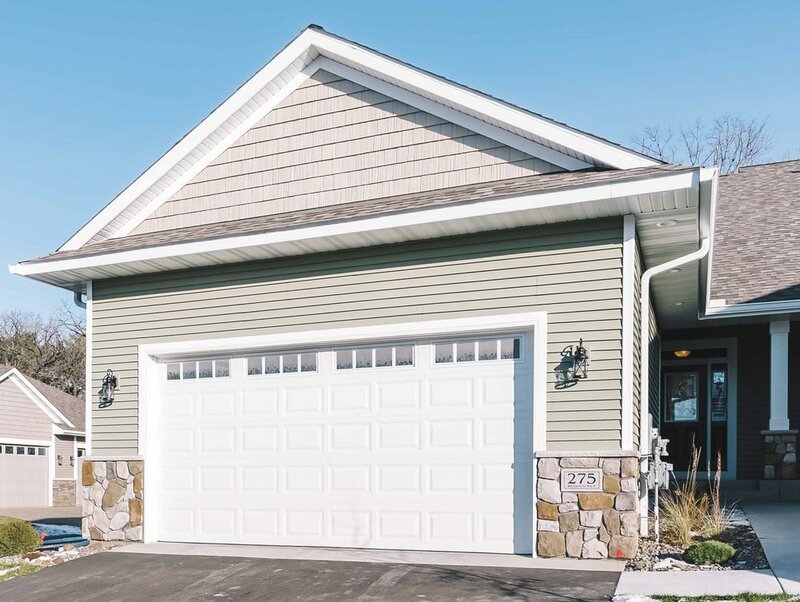 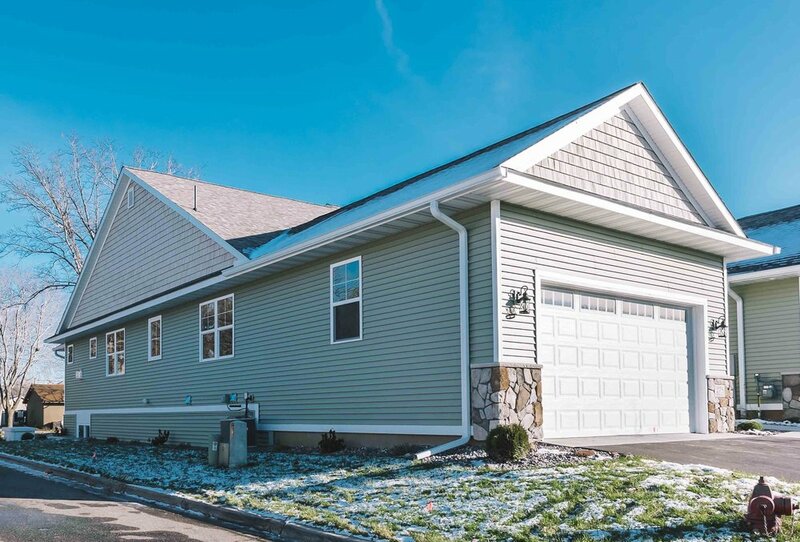 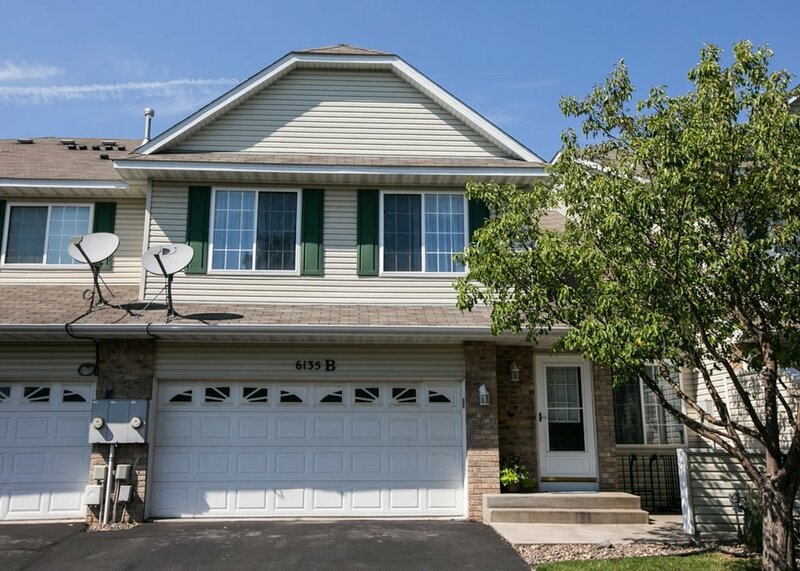 The Exterior Includes: high quality LP Siding that is maintenance free, energy efficient vinyl windows, asphalt driveway and a large 3 car attached garage for vehicles, tools & toys. 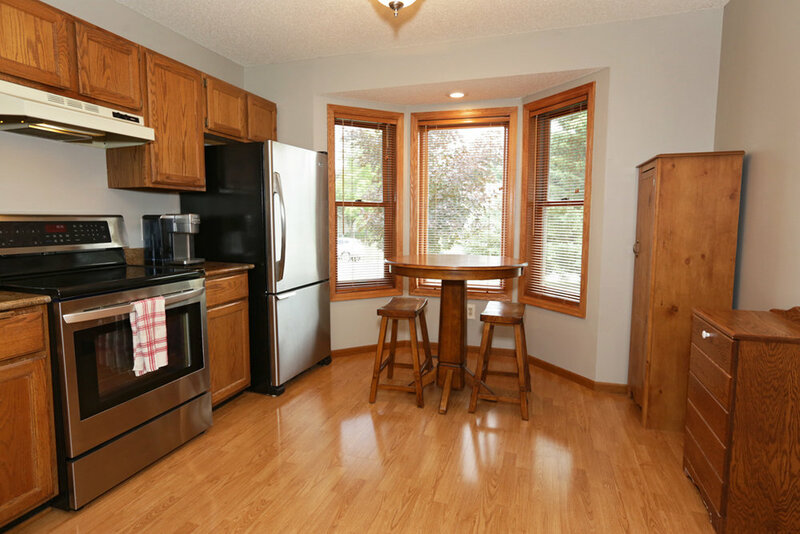 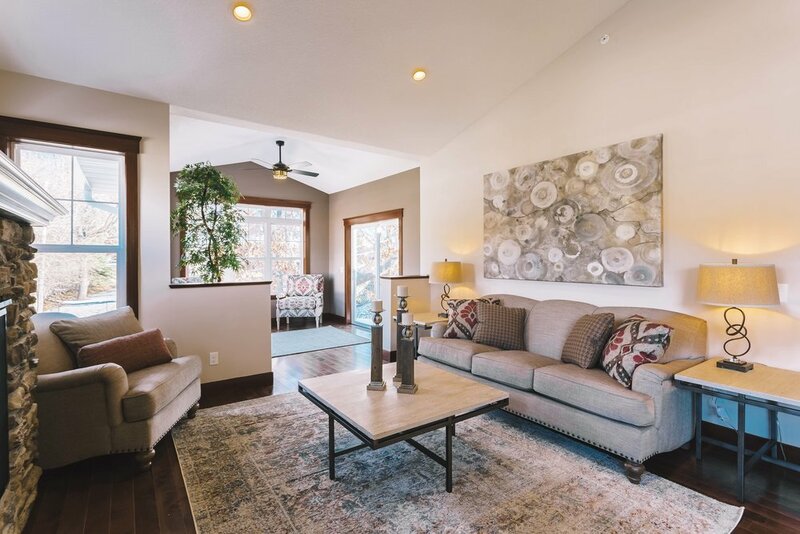 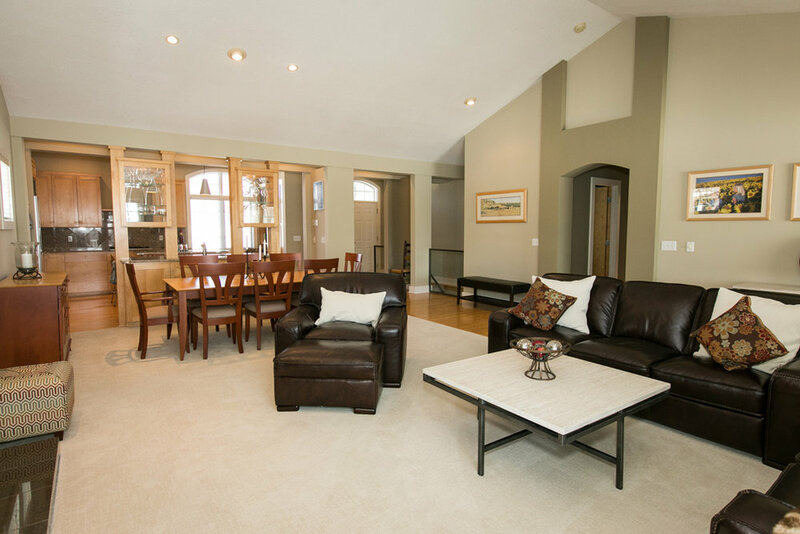 The Interior Includes: A gracious entryway and custom hardwood floors throughout. 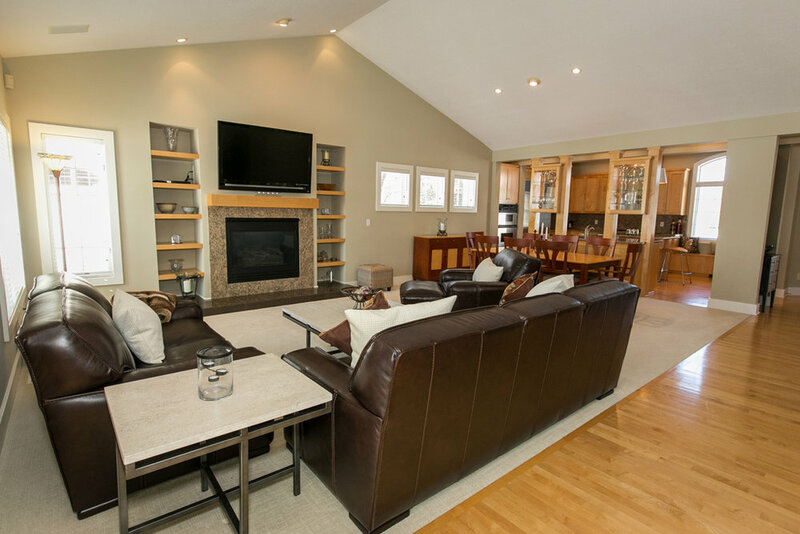 A living room with a gorgeous coffered ceiling and gas stone fireplace give this room that warm & inviting touch. 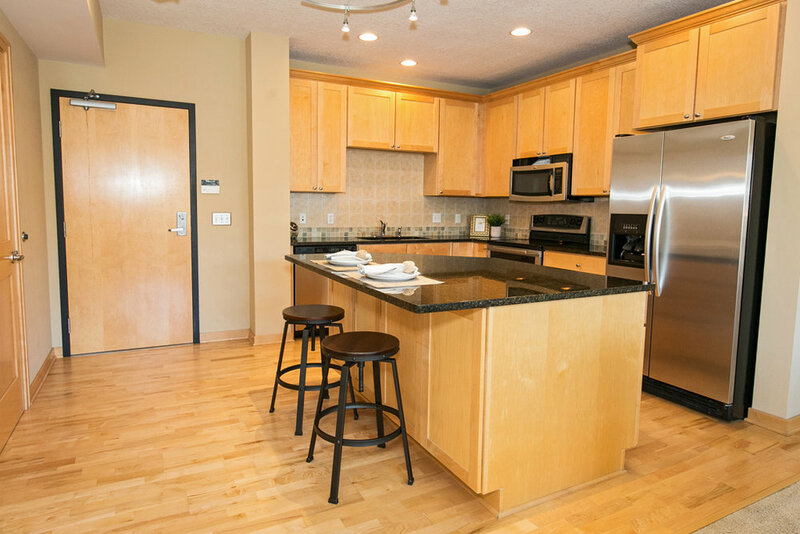 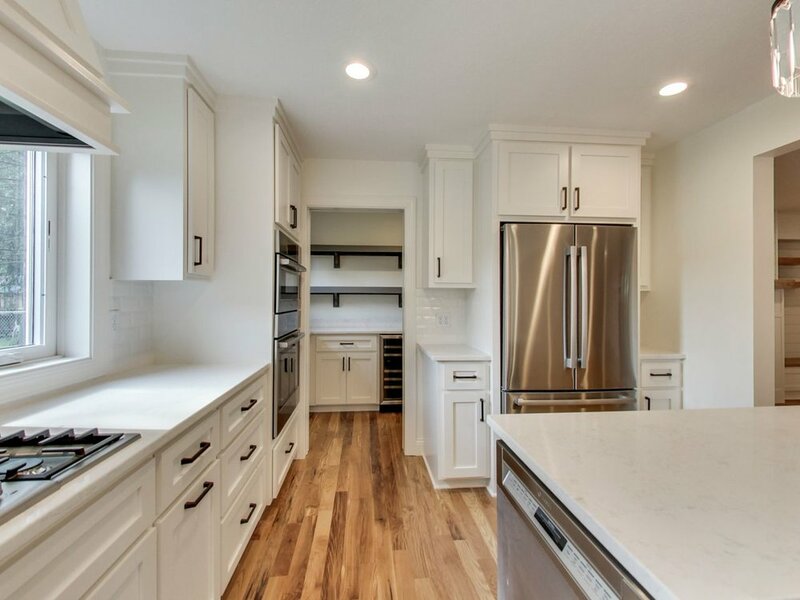 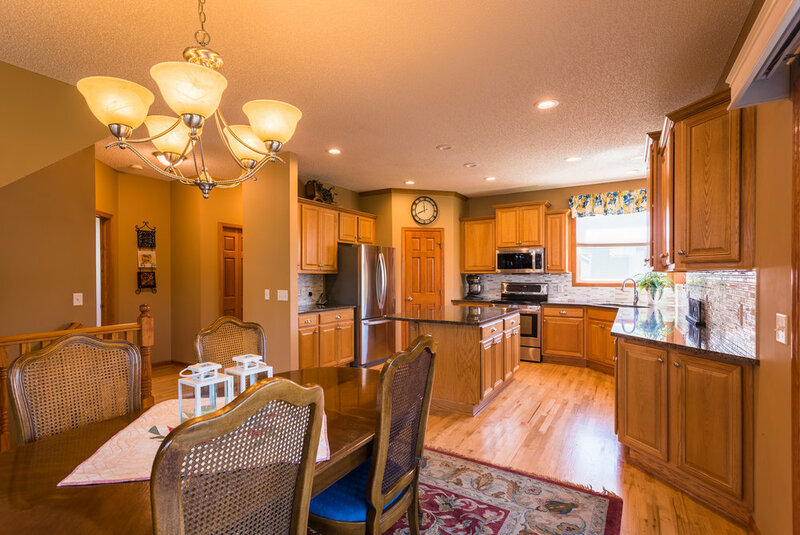 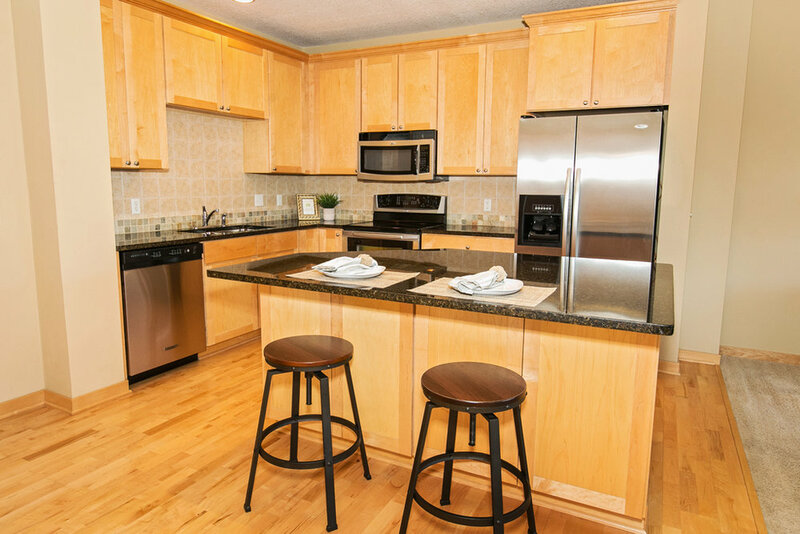 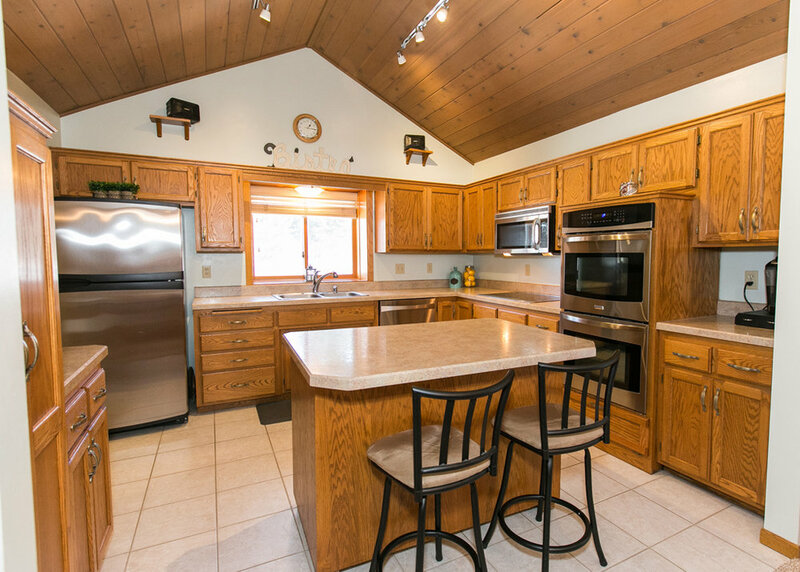 Eat In Gourmet Kitchen with granite center island & breakfast bar, gas cook top, bosch stainless steel appliances, soft close drawers and double wall oven are sure to please any cook in this kitchen! 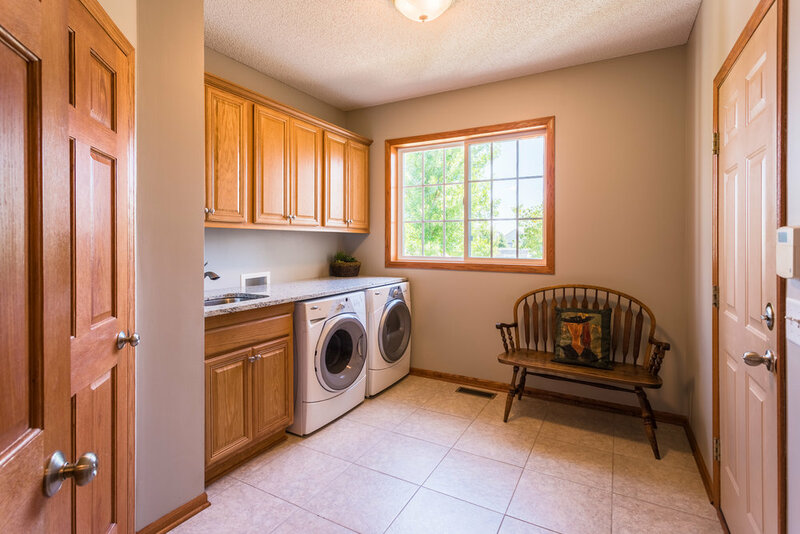 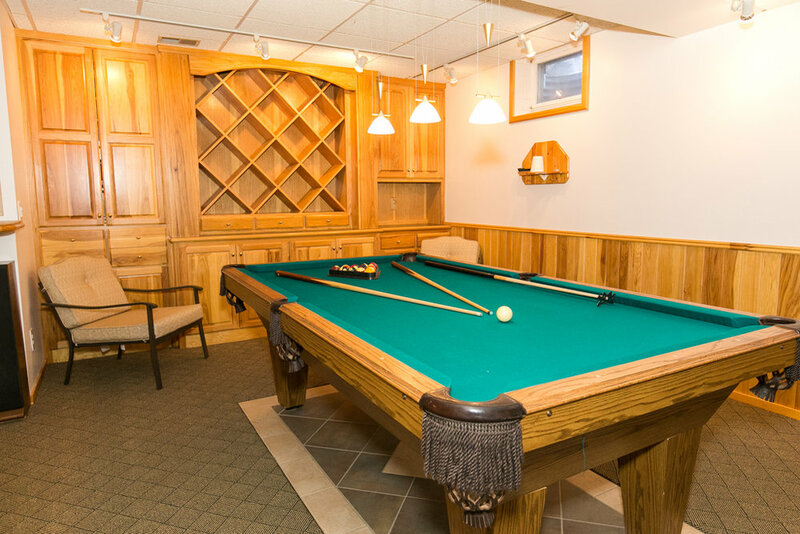 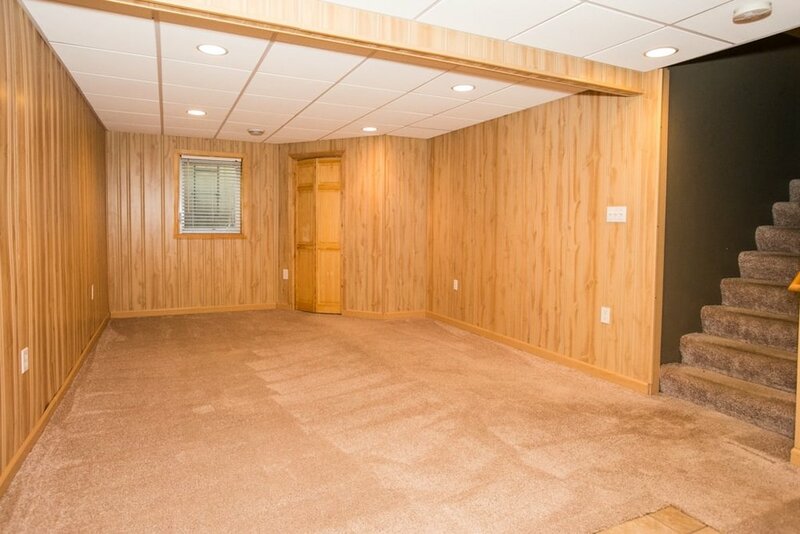 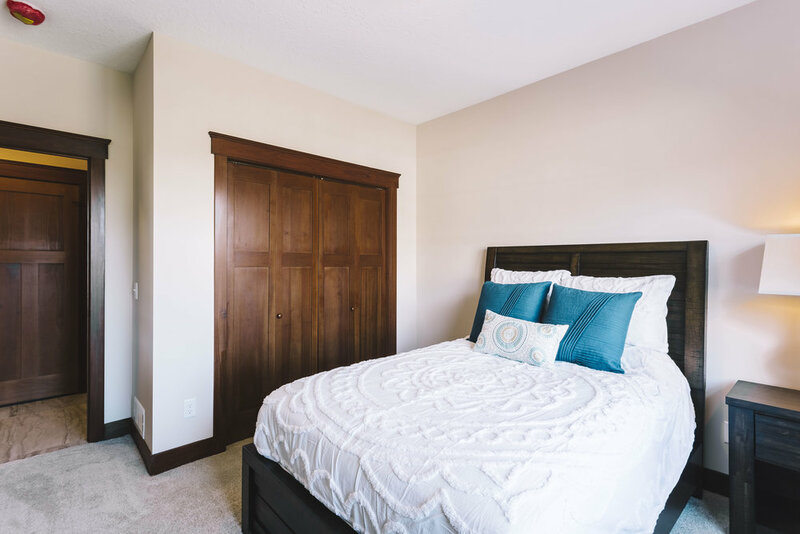 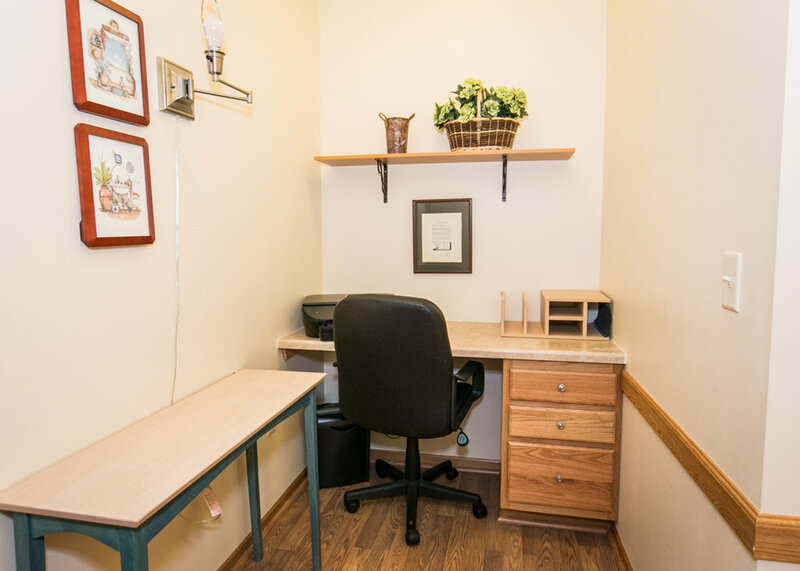 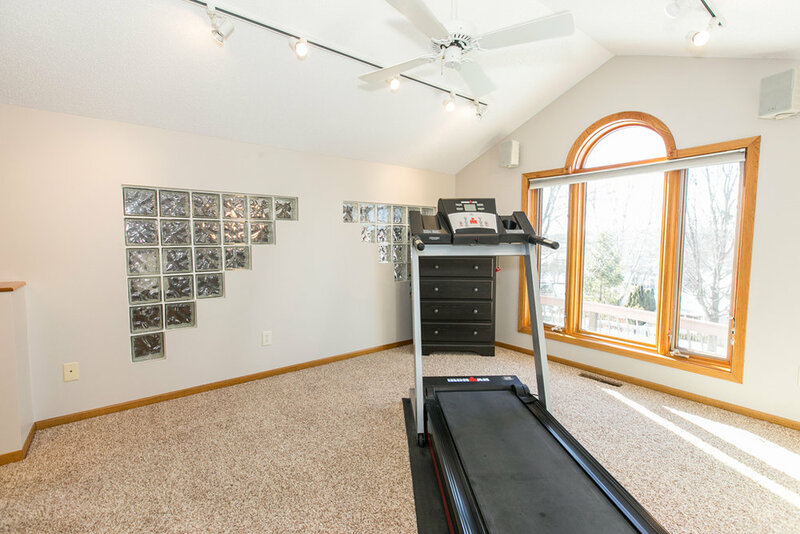 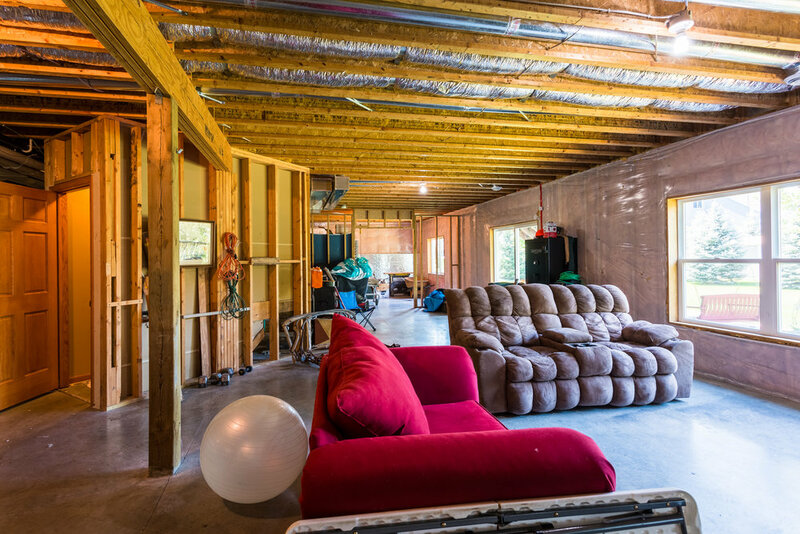 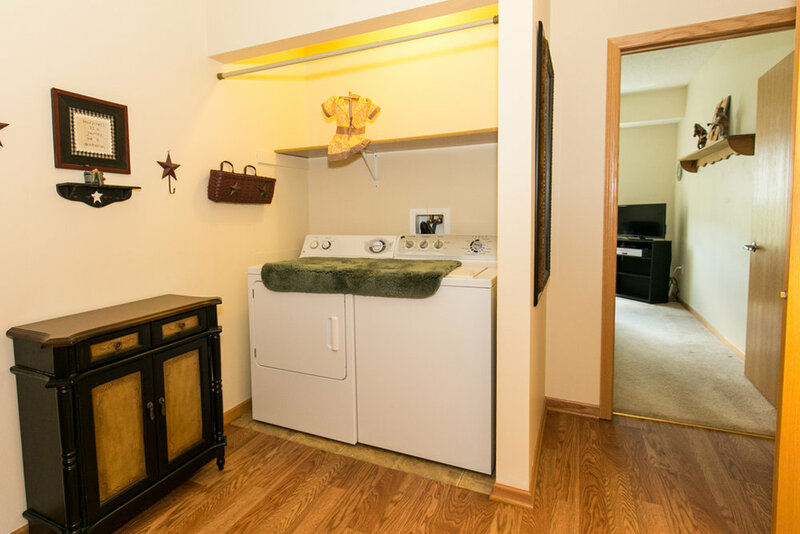 A private den/office and a mud room with custom built lockers for storage are on first floor for convenience. 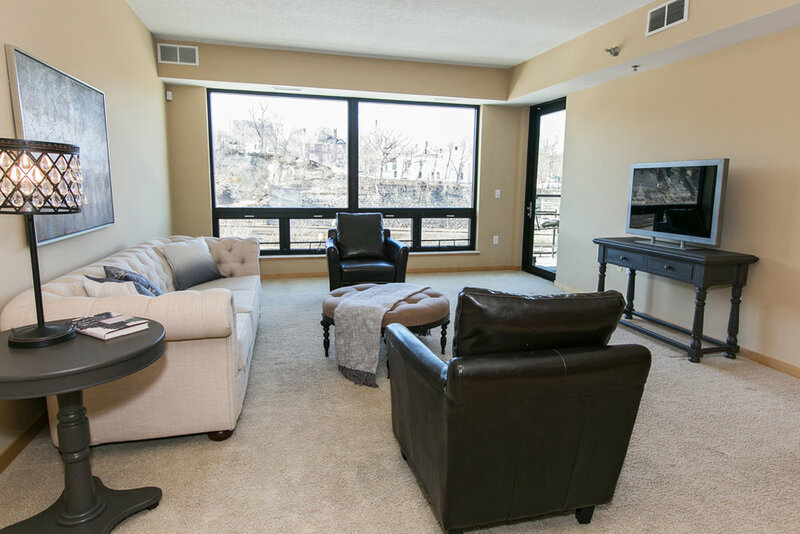 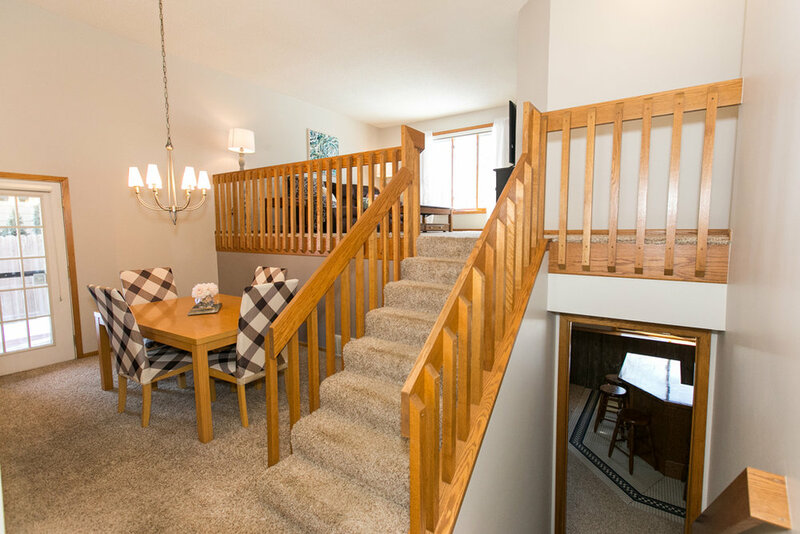 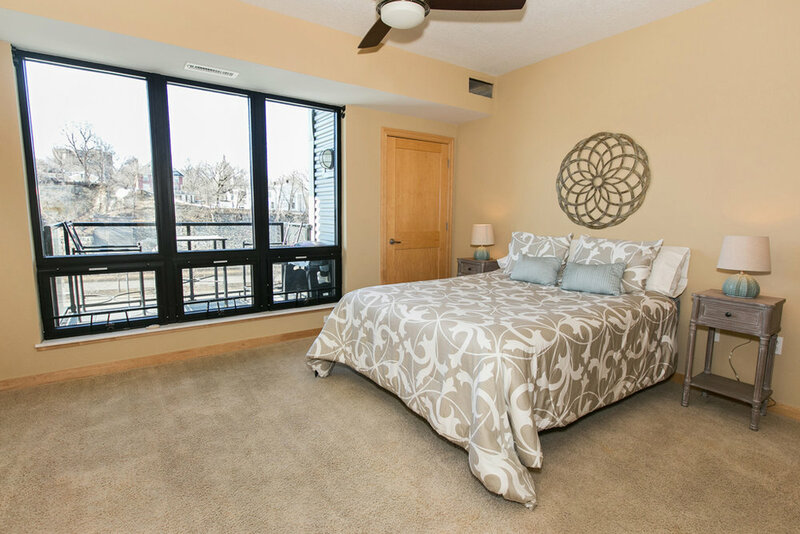 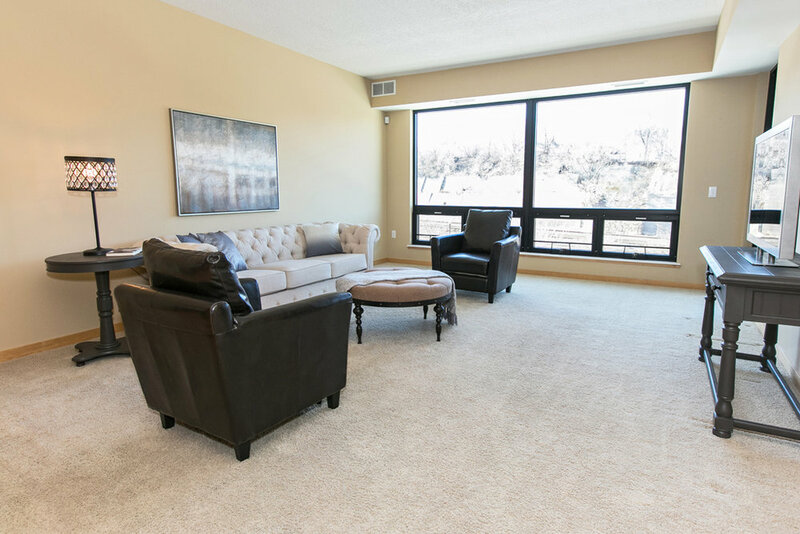 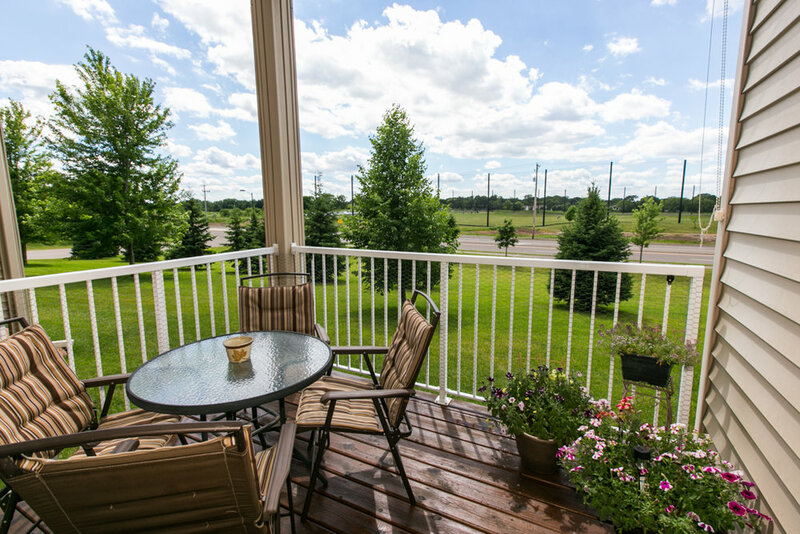 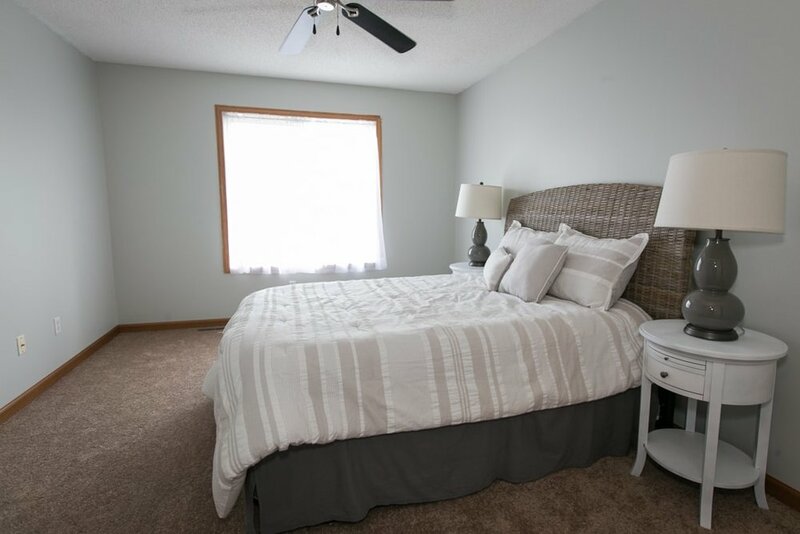 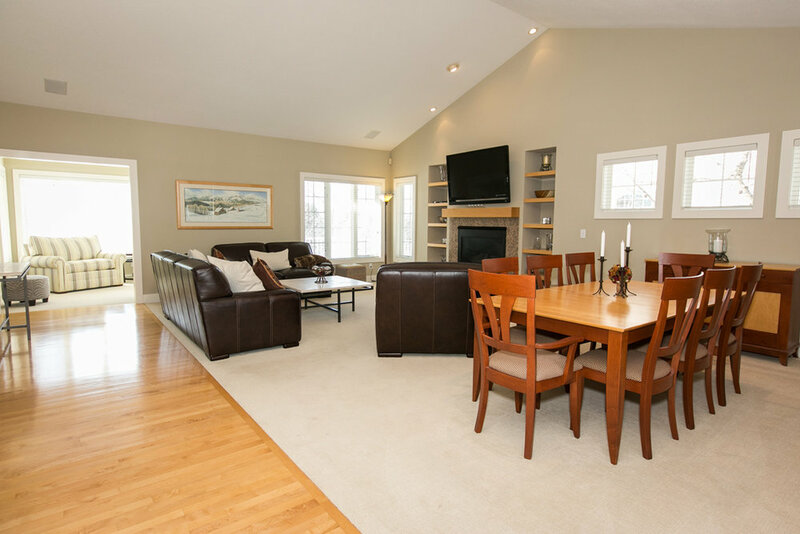 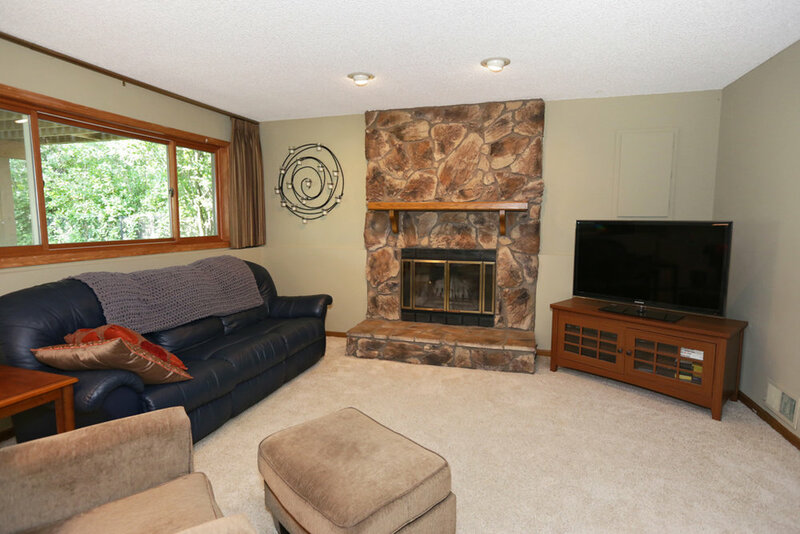 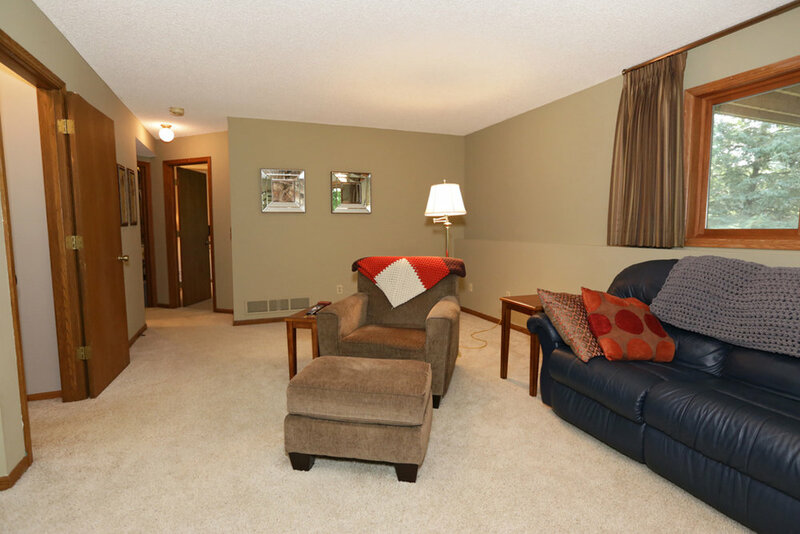 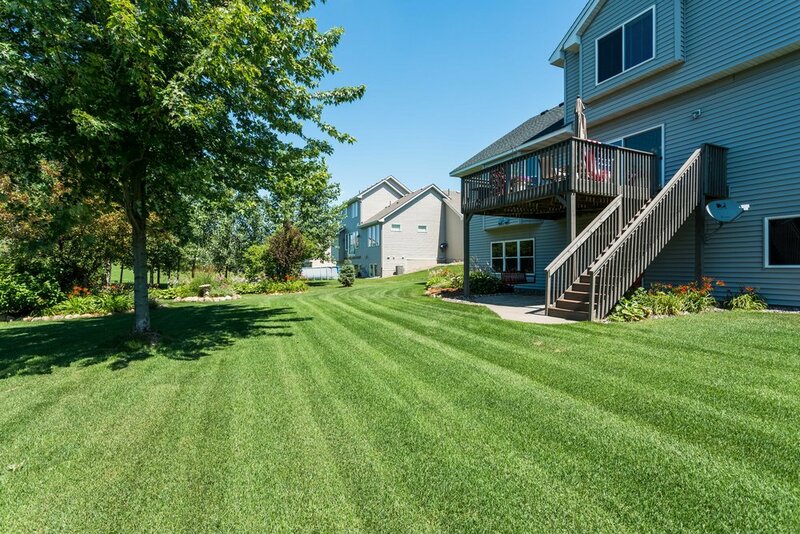 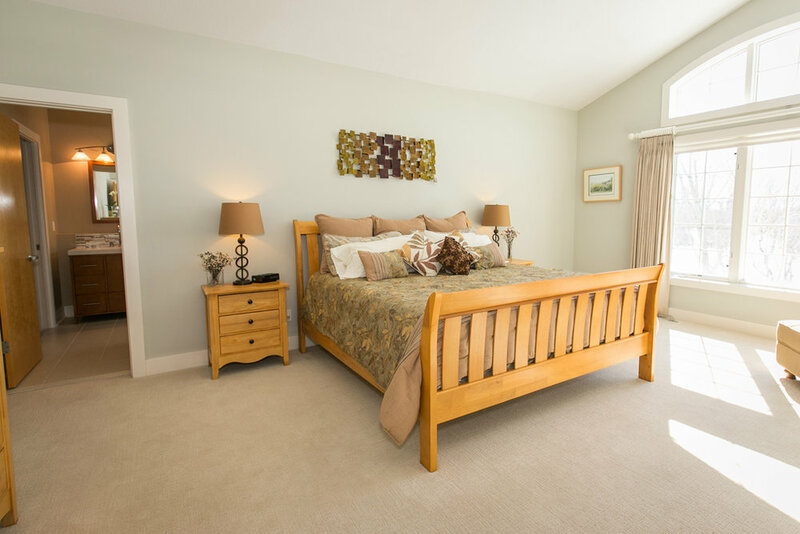 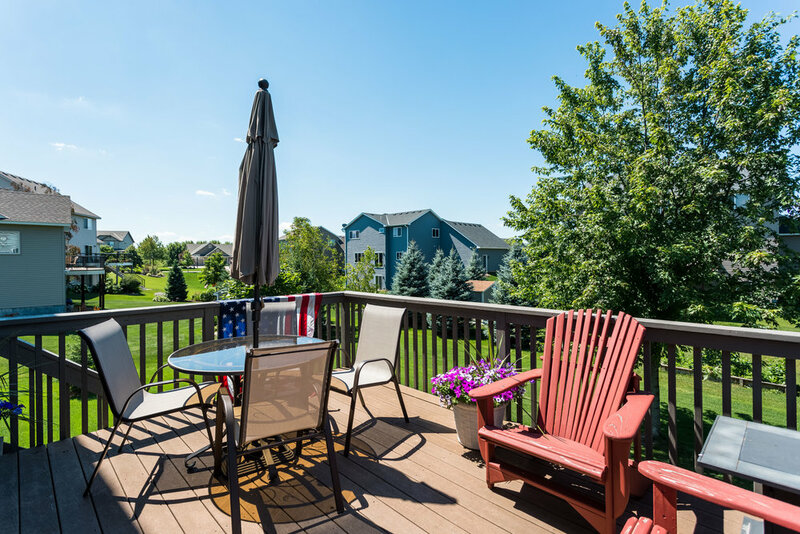 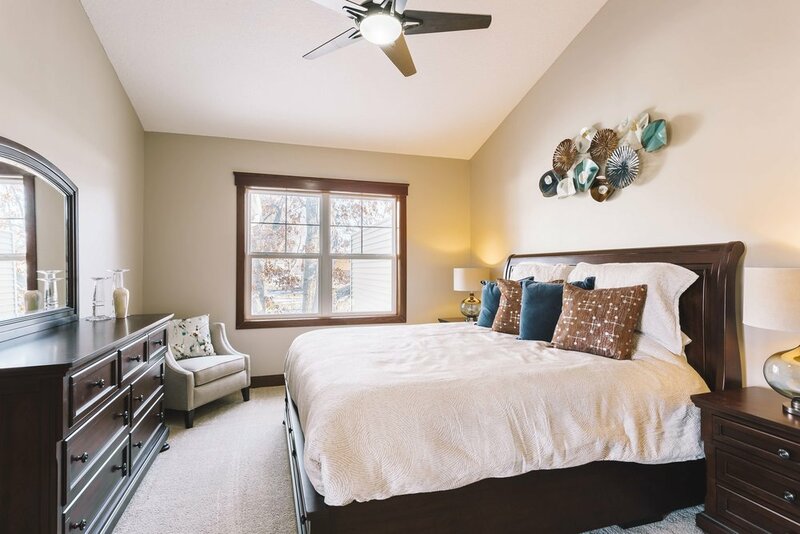 Relax and Retreat upstairs to the large master bedroom & spacious private master bath. 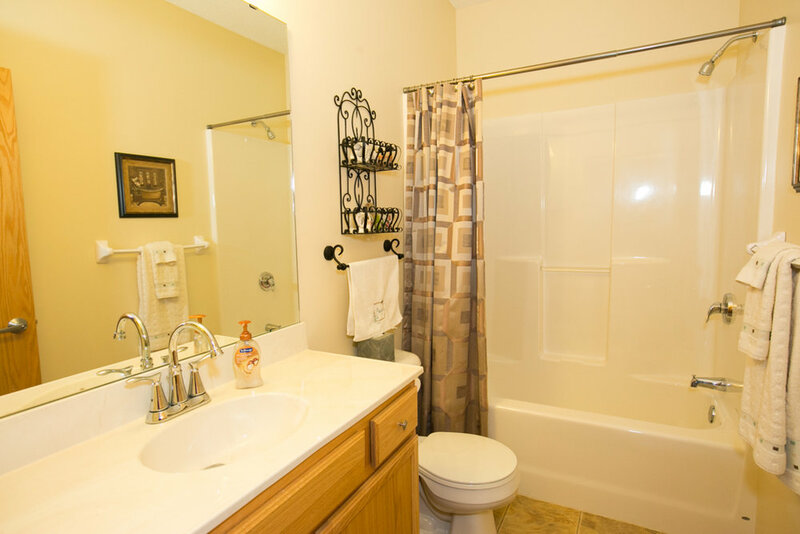 Large soaker bath tub and separate dual shower are the added touch for relaxing after a long day of work or play. 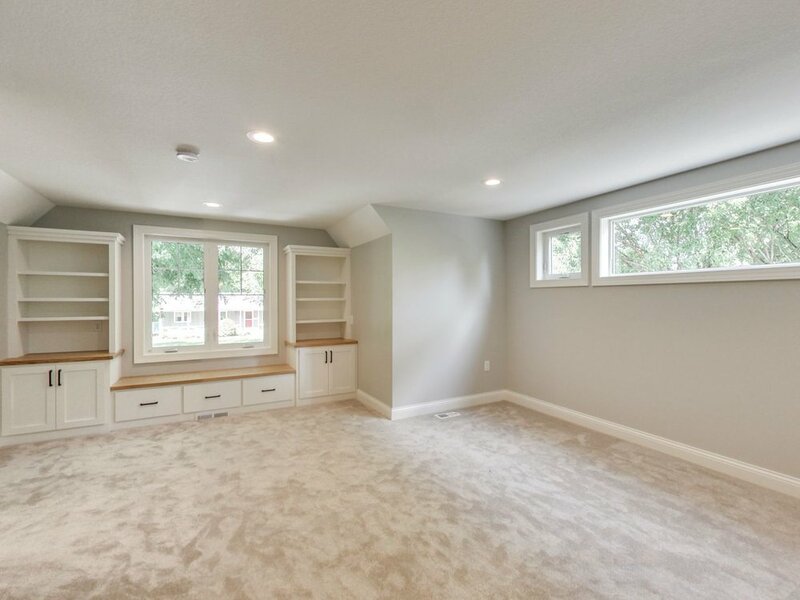 Finished lower level family room is the perfect area to entertain or "just hang out" This is completed 3/4 bath & lower level bedroom. 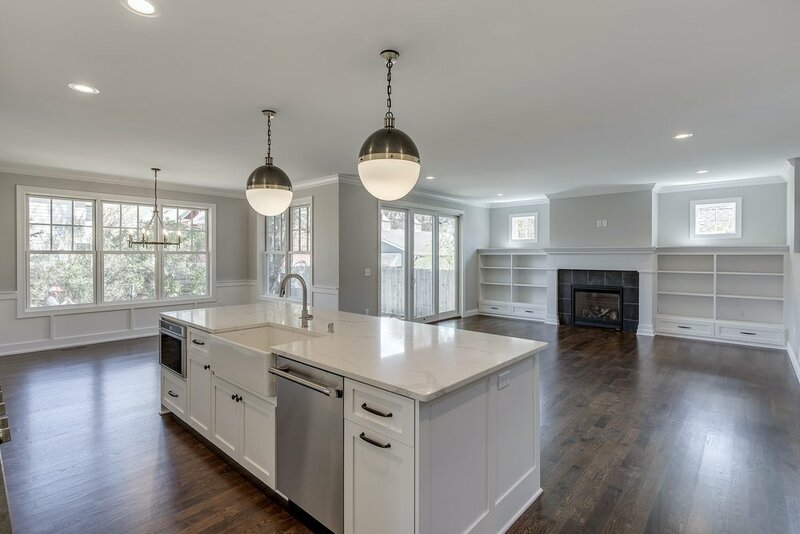 The whole house is designed with a warm color palette & custom lighting to add the perfect finishing touches to this Gorgeous Home! 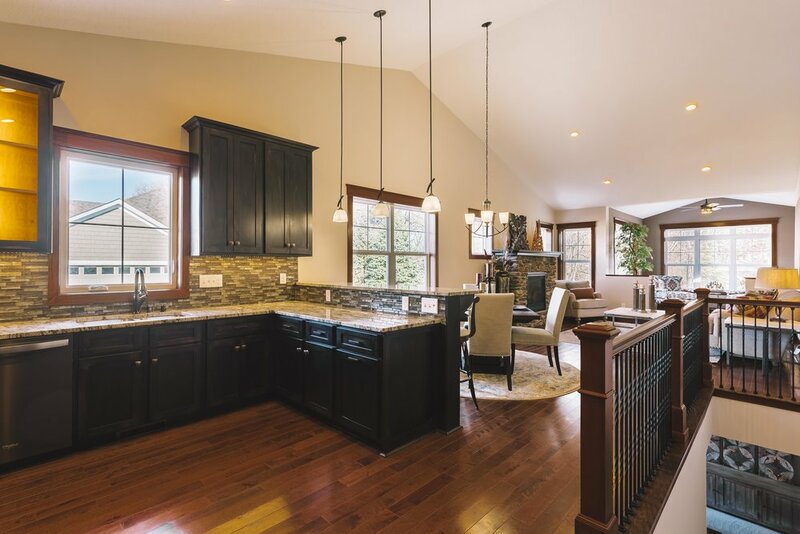 Beautiful serene wooded lot is one of the many features of this Amazing New Construction Home. 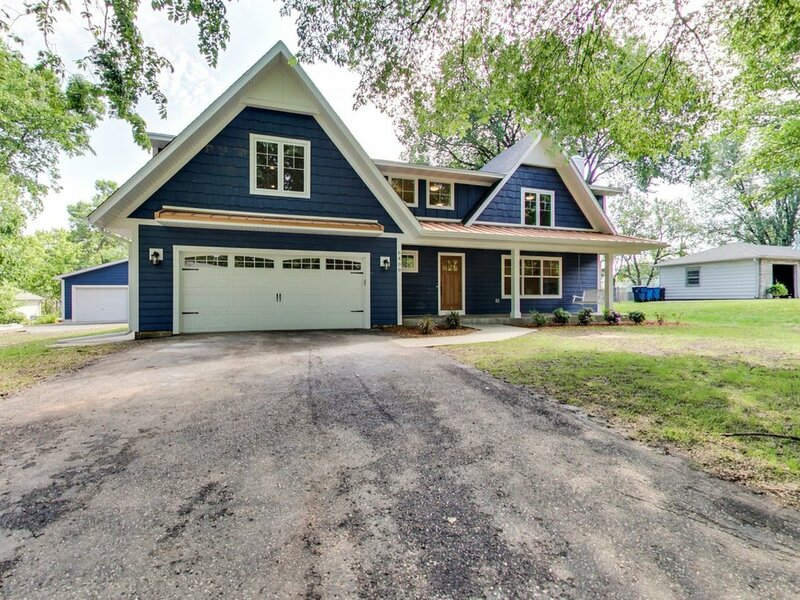 The Exterior has New LP Siding with Custom Paint & Stonework. 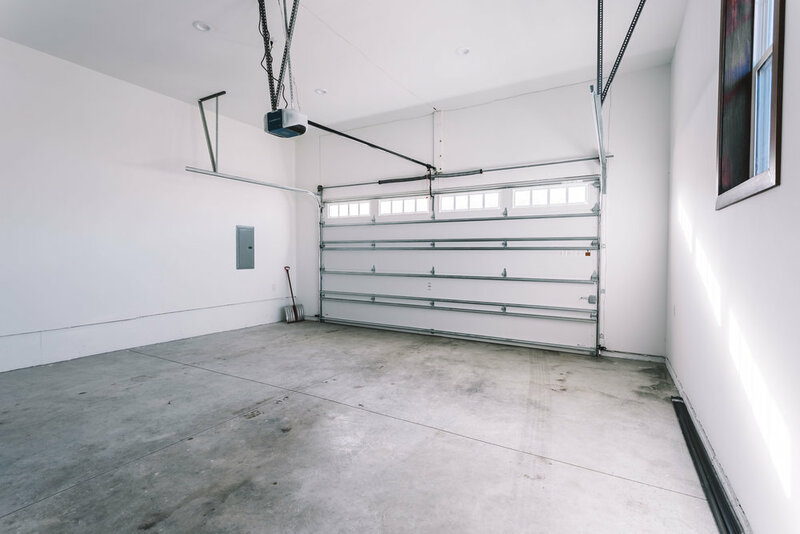 Attached 3 car garage with detached 2 car garage is perfect for vehicles, toys, tools or a "Man Cave". 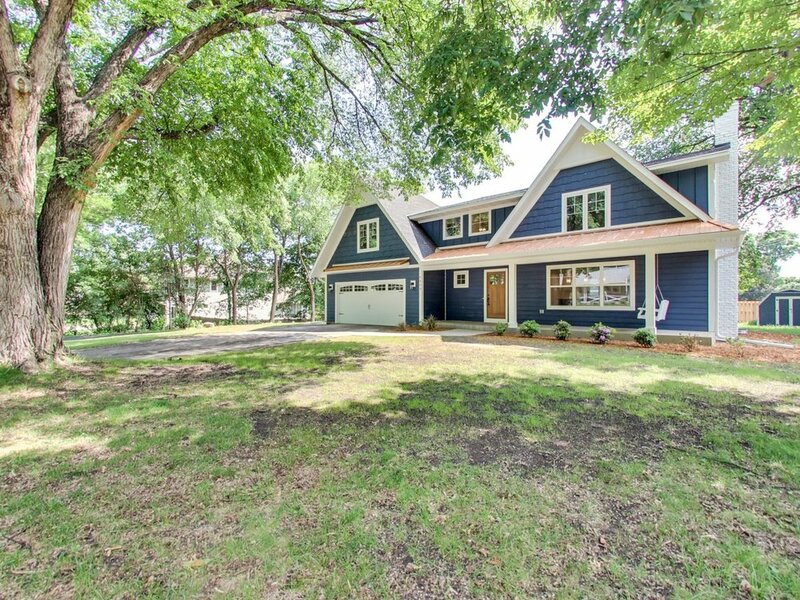 As you enter this home the distinguished craftsmanship and unique ideas are love at first site! 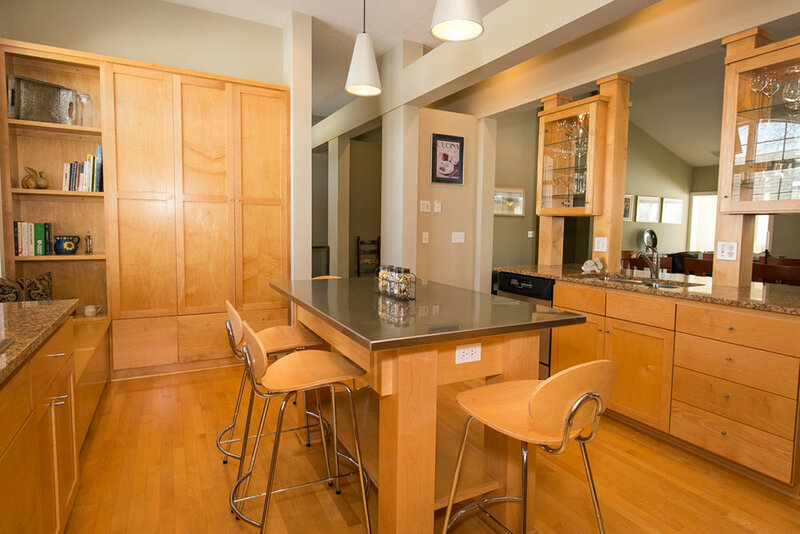 Enjoy the chef lovers kitchen with custom cook top and exhaust hood that complements the design of the kitchen. 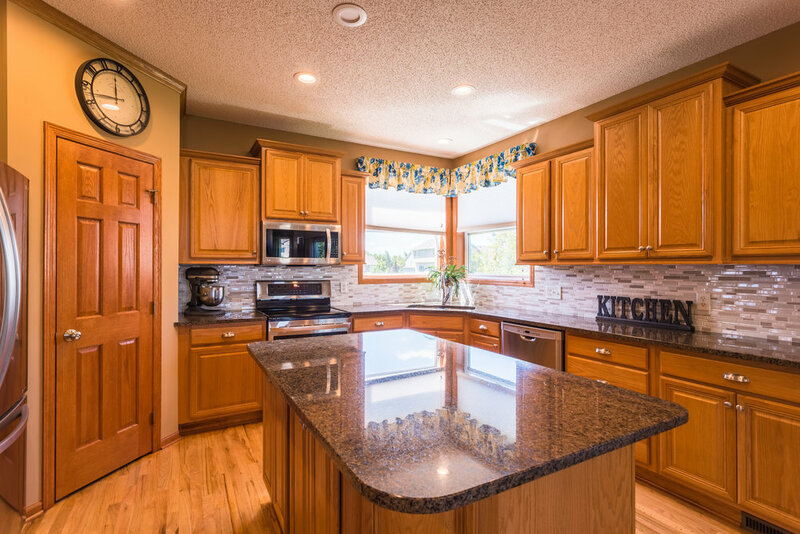 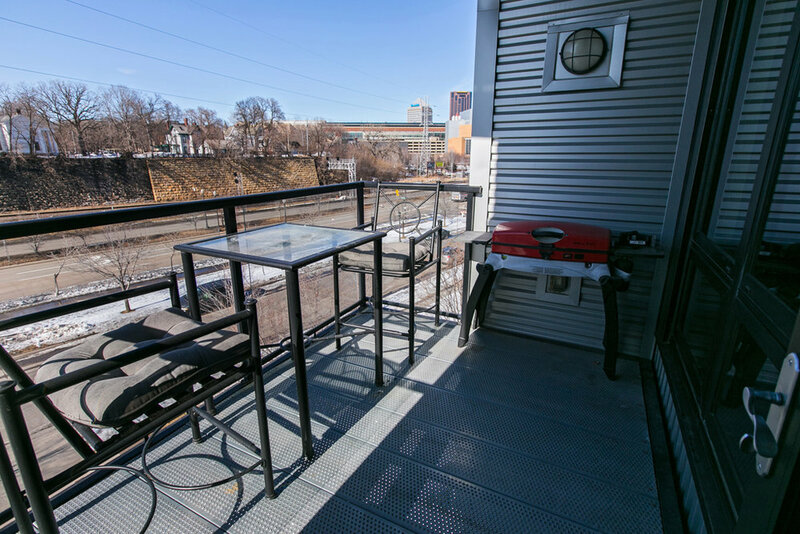 Top notch SS appliances, Granite countertops, Soft close doors, Double Oven and Center Island with Breakfast bar is sure way to please everyone. 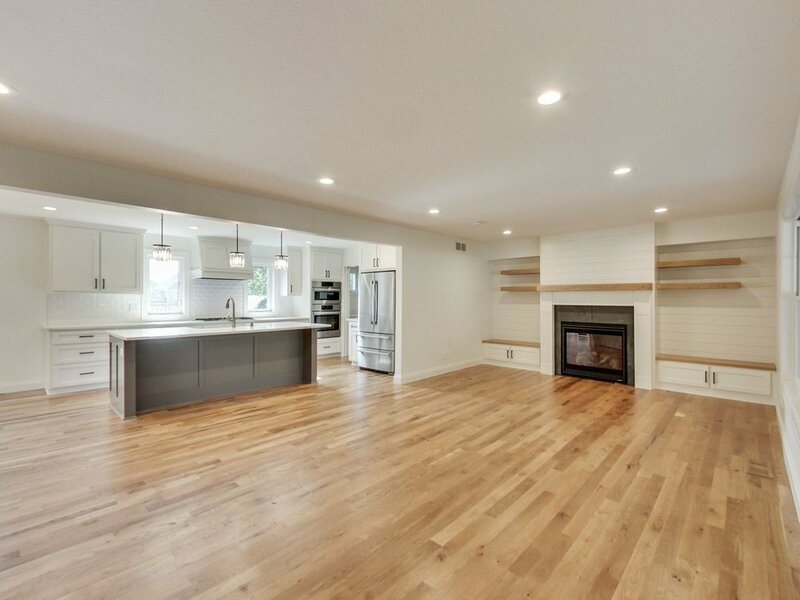 The informal dining area off the kitchen is surrounded by custom hickory hardwoods that warm up the main floor. 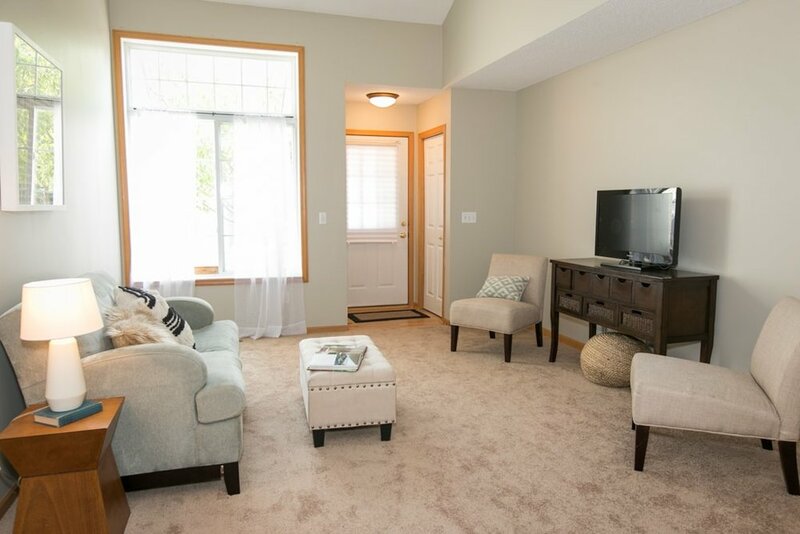 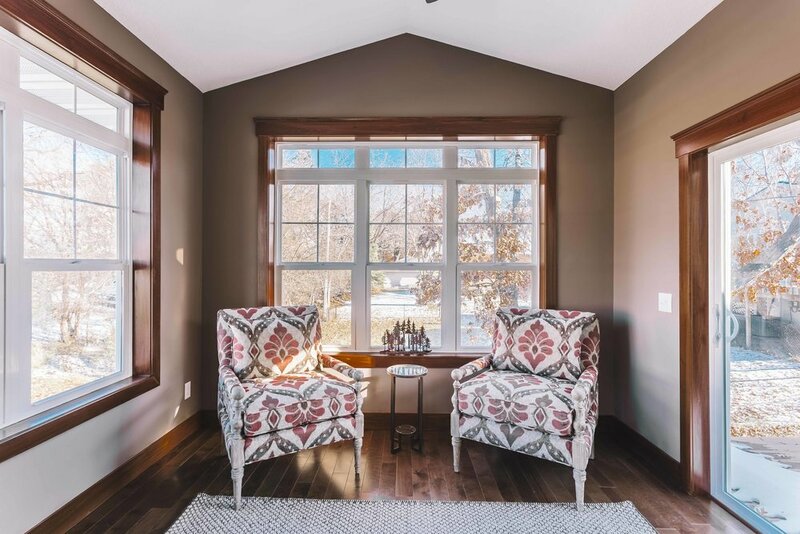 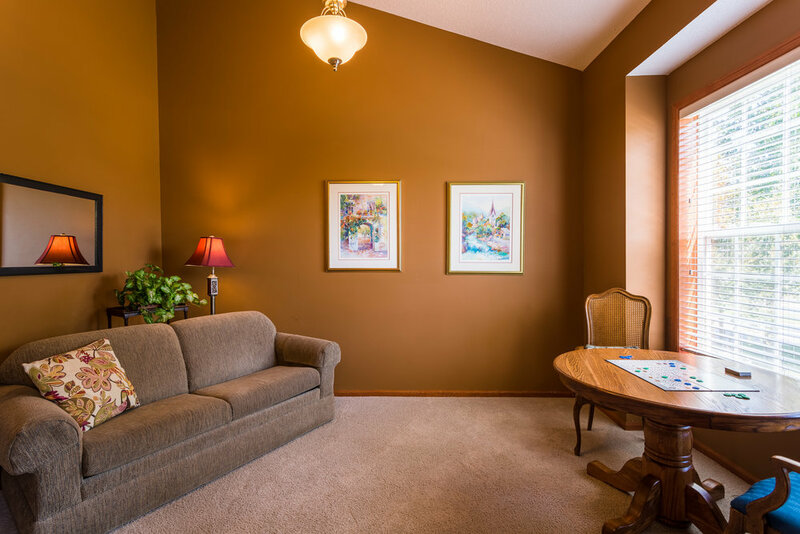 The energy efficient windows brighten the room with the natural sunlight they let in. 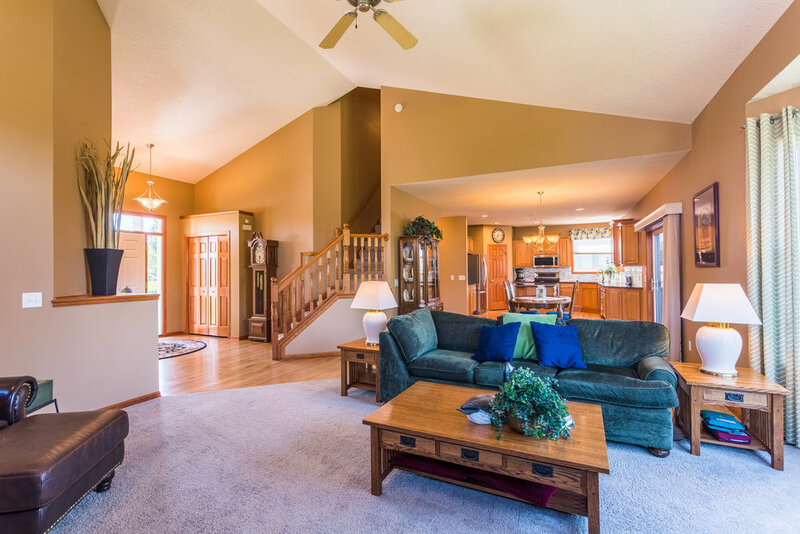 Entertaining is comfortable with this open floor plan. 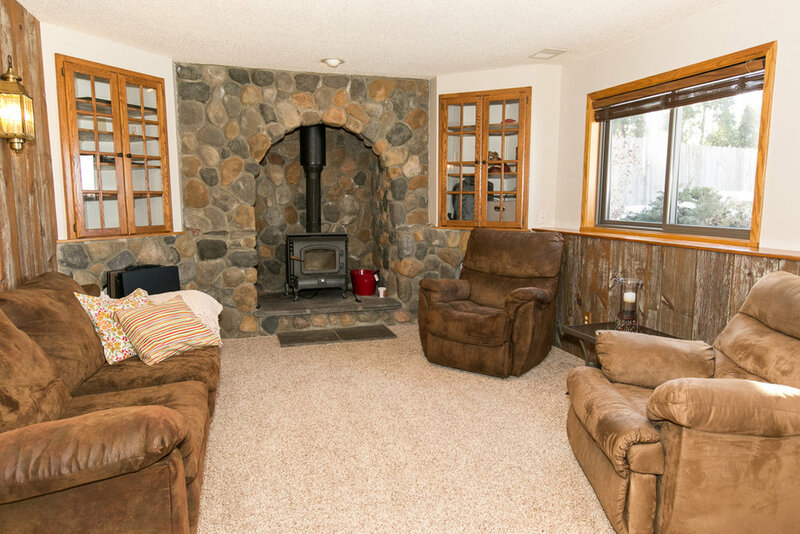 Cozy up by the stone fireplace and enjoy the relaxed living room with the rustic wood beams that compliment the design of the home. 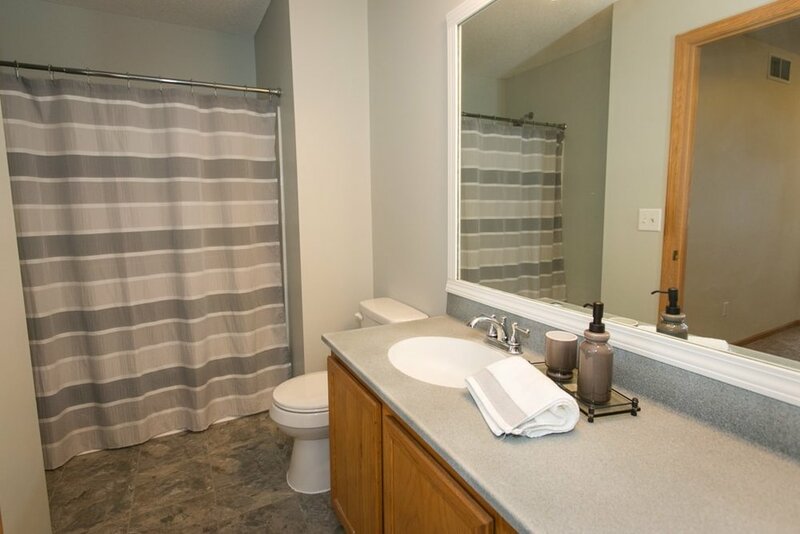 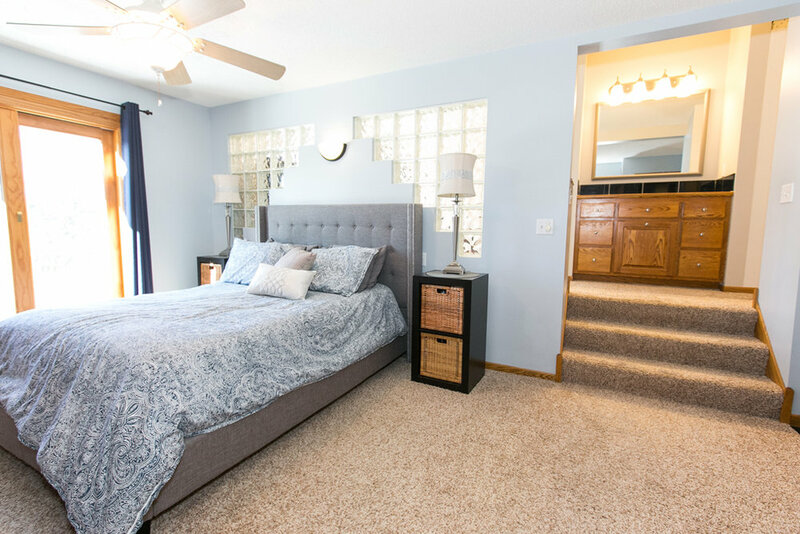 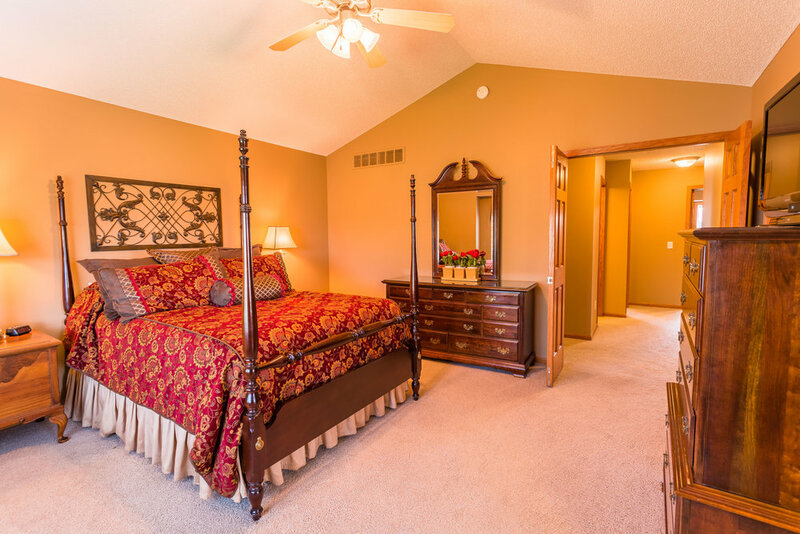 Unwind upstairs in your private Master Suite with Master Bath & walk in closet. 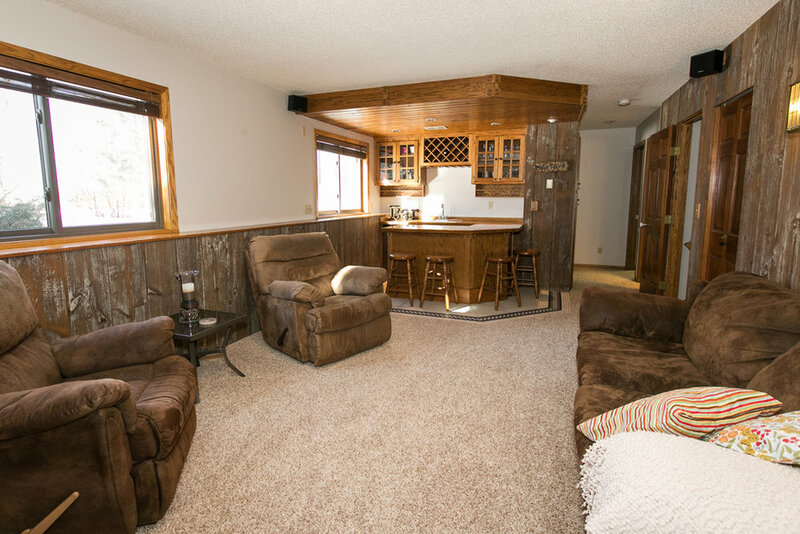 Rustic wood ceiling gives this room a classy but cozy feel. 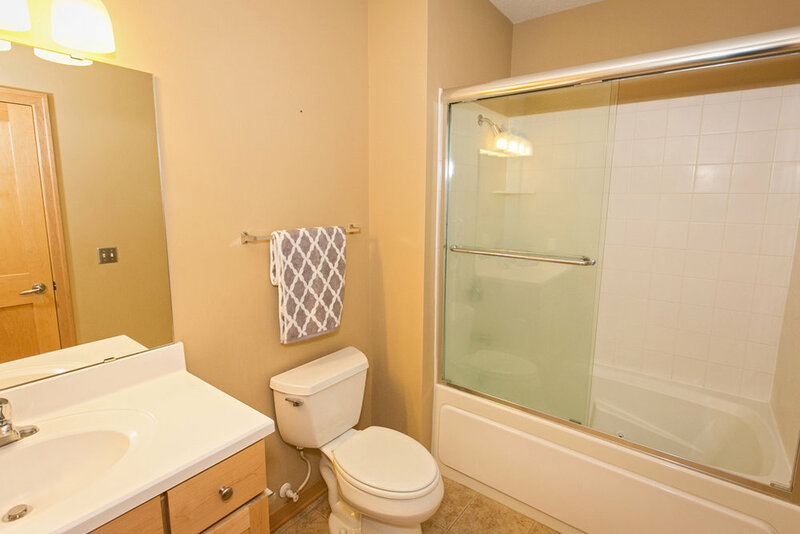 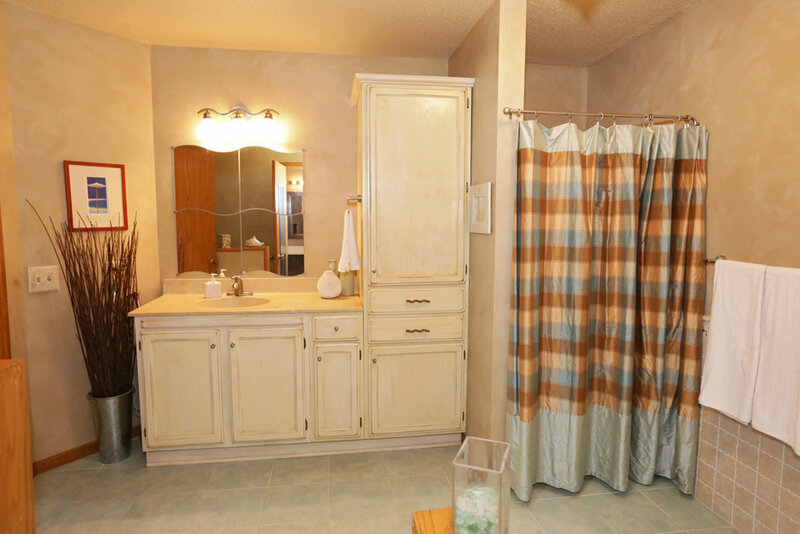 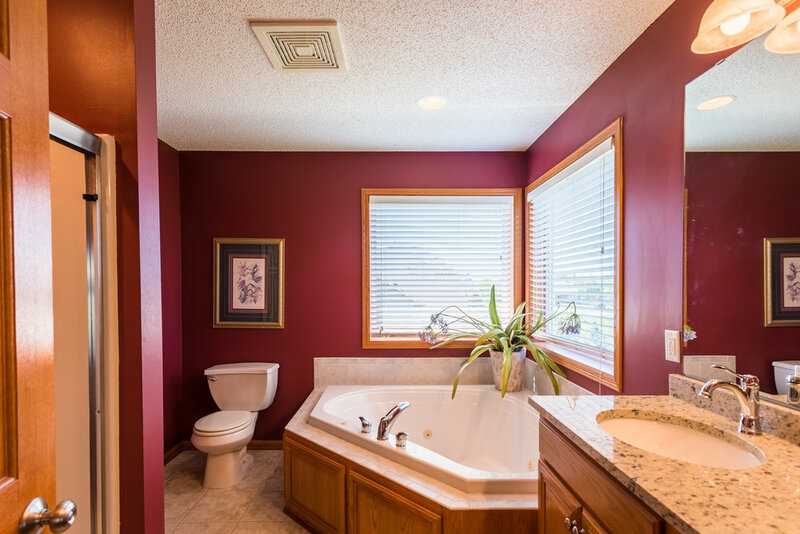 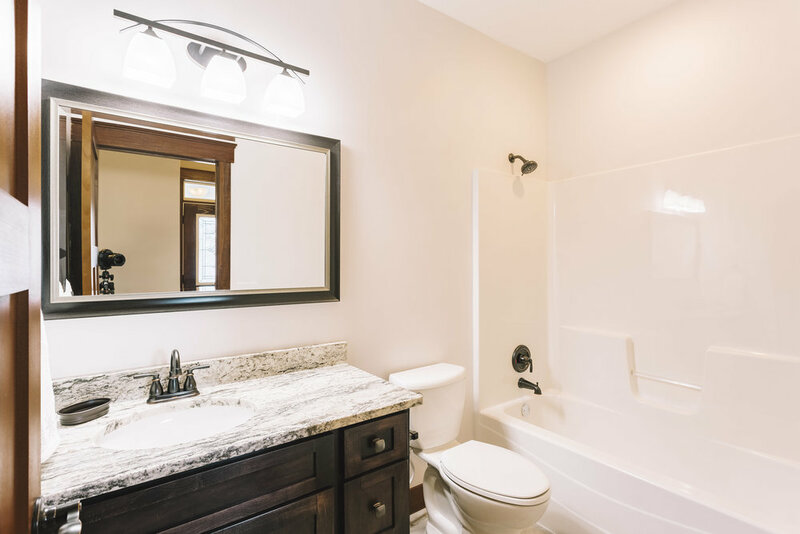 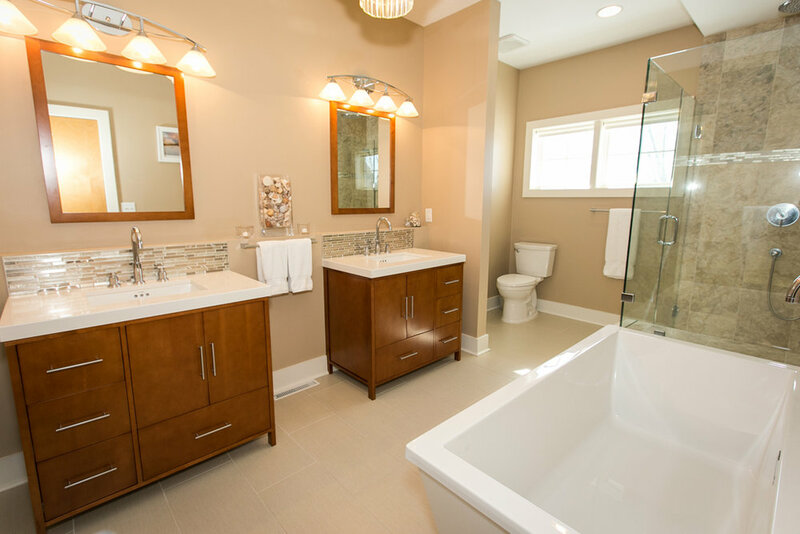 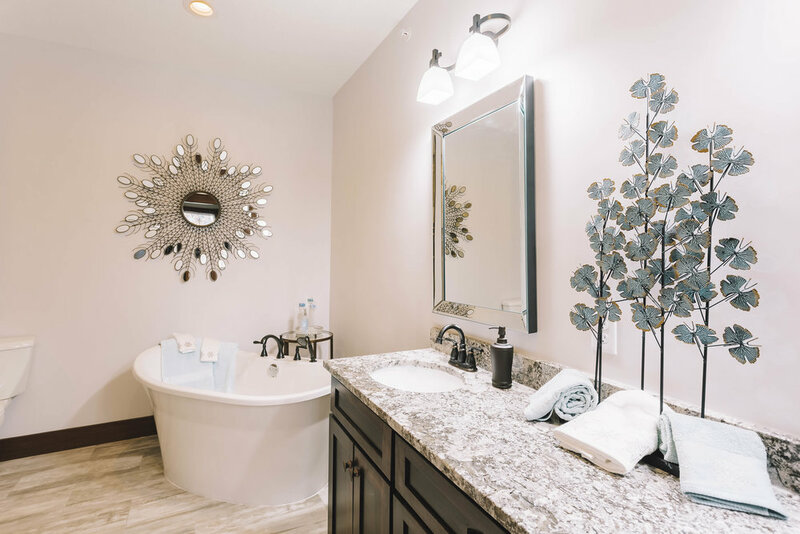 Soak your worries away in a classic deep soak tub or enjoy the large custom tiled shower. 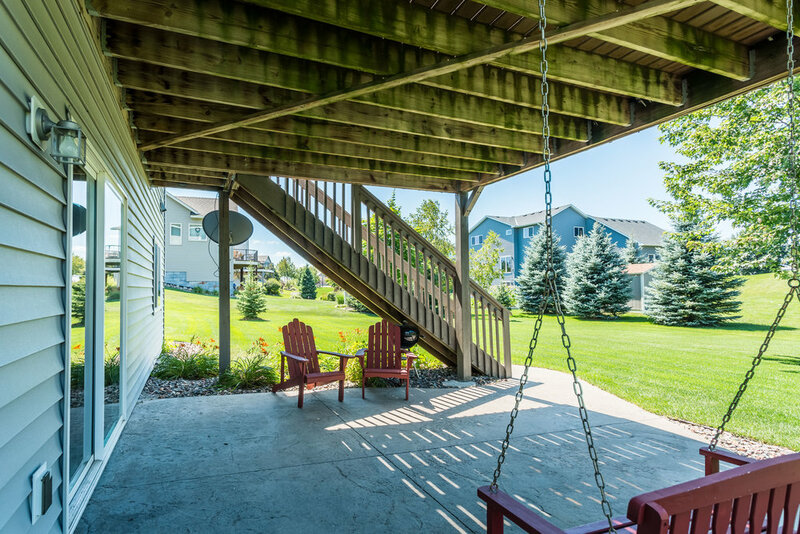 Relaxing at its finest. 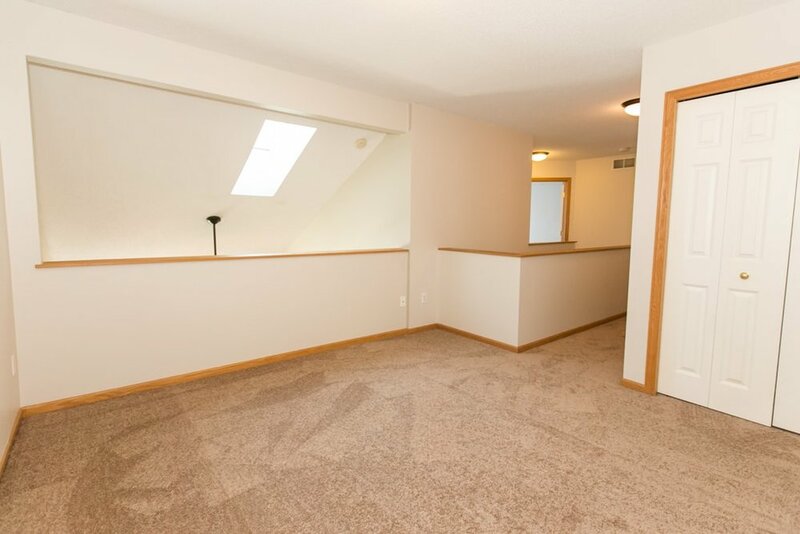 Another 3 bedrooms and 2 baths on this floor along with a bonus room over the garage that can be used as a kids play room, exercise room, reading room or just storage. 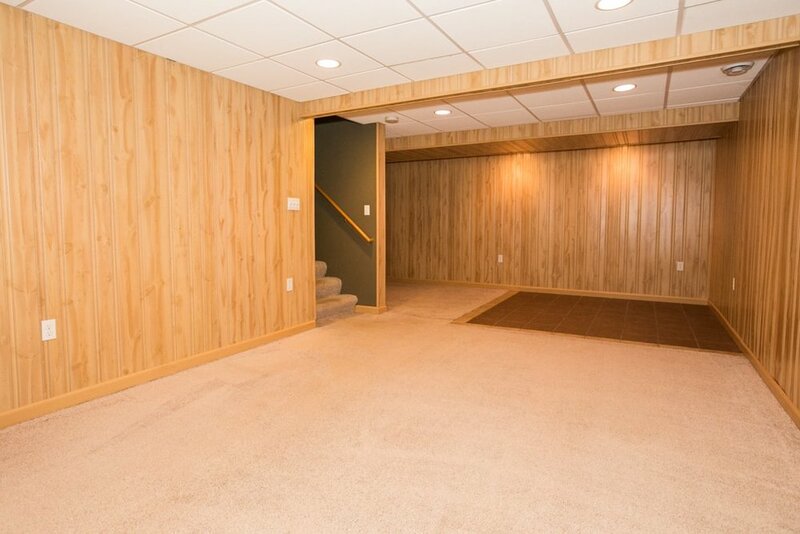 The completely finished lower level walkout includes a family room, 5th bedroom and 3/4 bathroom. 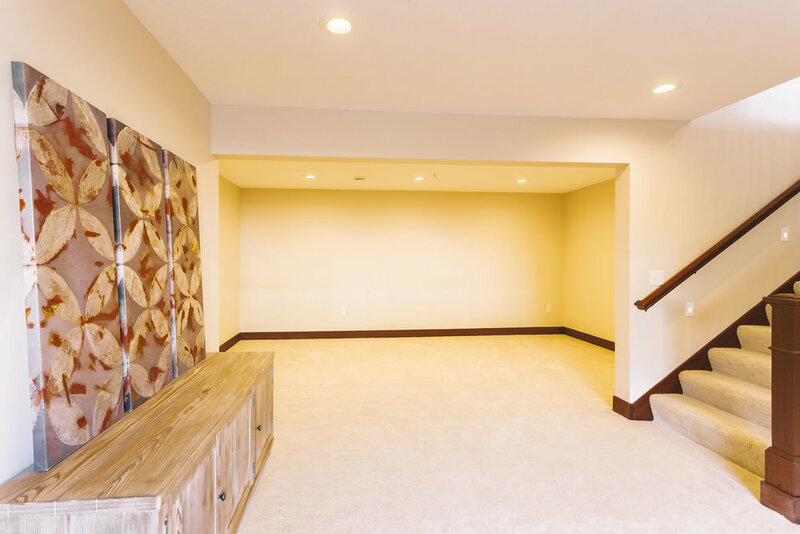 Elegant carpeting, custom paint and recessed lighting makes this room cozy and perfect for entertaining. 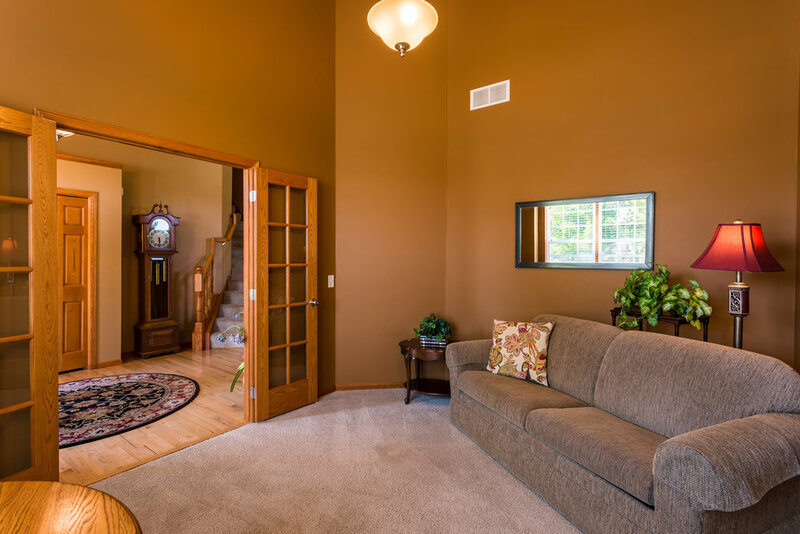 The entire home was painted with a warm color palette and new custom lighting throughout to give this home the perfect finishing touch. 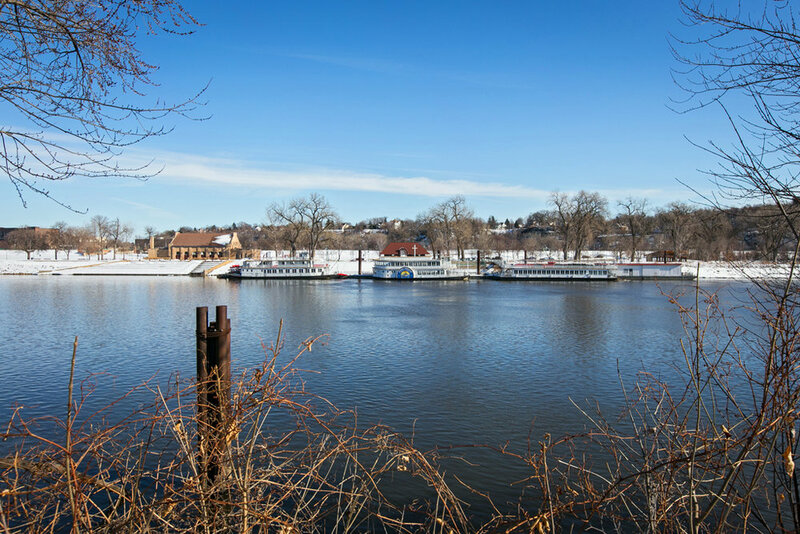 The City of Plymouth was named Money magazine’s number one Best Place to Live . 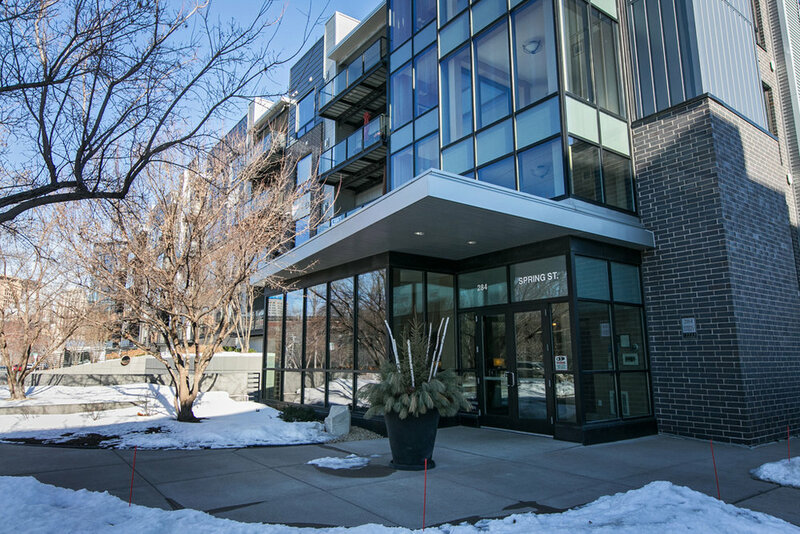 The city stayed in the top dozen when the magazine repeated the rankings over the past years.